Corporate mass media hypocrisy: When democratic referendums are in favour of being part of some bigger political union, they want to move on after saying how great the outcome was, yet, in the rare case that voters go against that, like with Brexit, the democratic majority is minimized for the sake of divide and conquer, pitting older against younger, and accusing what would only represent a small minority, of racist motives. Leftist Brexit inconsistency, which I’ve noticed even with local mass media: Saying how bad the Brexit outcome is, yet ignoring the EU’s well-known democratic deficit. Someone on a group I follow was so concerned yesterday about the pound dropping around 10% overnight to a 30-year low. Let’s put this in perspective. The Dow Jones fluctuated around 5% several days during the 2008 financial crisis, especially when the House initially voted down the bankster bailout bill, yet the bleeding stopped by March 2010 and the Dow is now historically high. Iceland’s currency dropped by 80% in just 4 months, but the good news was they didn’t have to pay for any of the bad loans that their private banks made. Britain had no business being in the EU in the first place, and their membership isn’t essential. Good that Brexit has put an end for the UK to the silly EU passport policy where someone coming from Eastern Europe, for instance, had an easier time getting into the UK than someone from a Commonwealth country who is fluent in English. The B.C. referendum success of voting to scrap the federally administered HST on August 26, 2011, represents a trend of Canadian success stories of reigning in government since 2010. While liberty has taken a back seat on the mad rush toward more and more government control in people’s lives, Canadians have fought back in three key ways since 2010. First, on October 26, 2010, with city of Waterloo residents rejecting continued fluoridation of their water, despite the arrogant attempts of some so-called dental professionals in only showing up for one of three scheduled debates on the issue, presenting their arguments on high from their proverbial Mount Olympus. To me, that vote, along with the rejection of merger talks with neighbouring Kitchener, was tangible evidence of Waterloo finally earning some of its otherwise premature designation as the world’s most intelligent community in 2007. Then, on February 8, 2011, Calgary city council voted overwhelming to no longer forcibly medicate its residents with fluoride through their municipal water supply, and voted to reject hearing from a so-called panel of experts on the issue, recognizing that such a presentation is unworthy of consideration with regard to a fundamental human right. In all three cases, liberty won out at the expense of arrogant politicians, so-called experts, and arrogant and over-reaching governments that have become a clear and present danger to the very existence of free Western societies since 9/11. I hope that these examples will at least serve as an inspiration to those in the U.S. who are seeking to rein in what I view as their arrogant and over-reaching federal government. If the normally sanguine Canadians can push back on their government, then by George, surely Americans can push back on theirs! 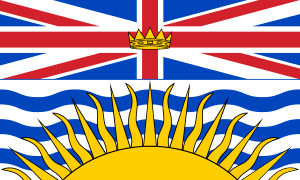 Congratulations to British Columbians for rejecting the HST that your provincial government tried to ram down your throats after the $1.6 billion bribe from the federal government, and despite your provincial government’s feeble attempts to bribe you with a two percentage point cut. This is truly a great day for the democratic process in Canada, and for a political system that WORKS when enough citizens care to make it work. What the people of B.C. did is truly remarkable. First, they got so upset that they forced Premier Gordon Campbell out of office. Then, they successfully exercised Canada’s only popular referendum legislation, and when their government started fearing a loss, it made a feeble and ultimately unsuccessful attempt to bribe its citizens with a two percentage point cut. Also, the people pressured their government to adopt legislation requiring a lower threshold of voters to force action instead of a higher threshold to only require consideration of their wishes. Despite all the bribery and cajoling, a majority of registered voters turned out, and a majority of them roundly rejected it, and it is indeed a great day in B.C. and in Canada today.